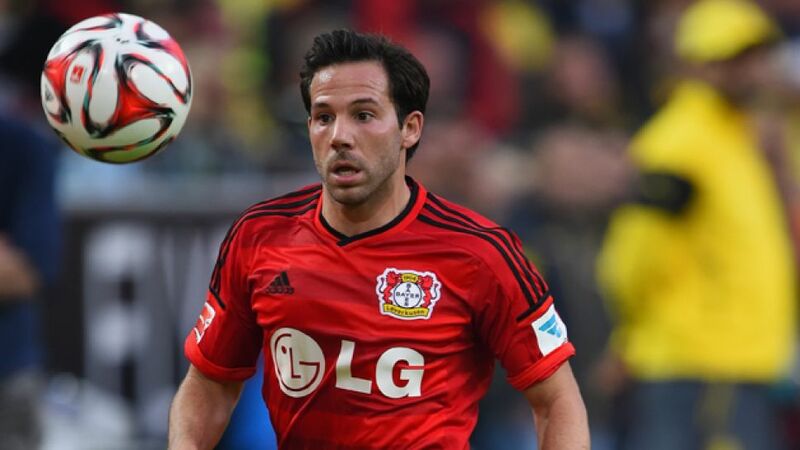 Orlando - Having missed the final league match of the 2014/15 Hinrunde through injury, Bayer 04 Leverkusen midfielder Gonzalo Castro is eager to prove his fitness at the club’s winter training camp in Orlando, Florida. Question: Gonzalo Castro, we’ve been told you know the area around here quite well already? Gonzalo Castro: That’s true, I was in Orlando last summer. Roberto Hilbert has a holiday home around 20 minutes from our hotel and I visited him and his family there. I don’t have to go to Disney World anymore, I’ve already been (laughs). Question: You missed the last game of the Hinrunde through injury. Are you back to full fitness now? Castro: So far everything’s fine. After our game against Hoffenheim I had a few muscular problems, but the treatment in December worked well and I was able to get plenty of rest during the holidays to make sure I get back up to speed. Castro: That was just a precaution. After the exertions of the flight we decided it was best for me to train by myself, but now I’m back with the rest of the team. Question: If you could make one wish for the second half of the season, what would it be? Castro: More consistency at home! At the BayArena in particular we’ve dropped a lot of points - that’s something we have to stop doing this year. Question: Leverkusen are playing Club Atletico de Madrid in the UEFA Champions League in February and March. Was your family in Spain happy with the outcome of the draw? Castro: (laughs) They were. I’m sure they’ll be two good games - Atletico are an outstanding side. We’ll have to be at 110 per cent to stand any chance of beating them. Question: What have you and your team-mates been getting up to in between training sessions in Florida? Castro: Rest is top of the agenda, but we do as much as we possibly can as a team. There’s supposed to be a golf course nearby, we might end up going there at some point. Otherwise we just mess around on the PlayStation or go to a cafe at the hotel. Yesterday we went to look for crocodiles at the lake next to the complex, but I didn’t see any unfortunately. My team-mates are one up on me in that respect.